Hotel Danieli, Venice, Italy : a review of Venice's premier hotel. 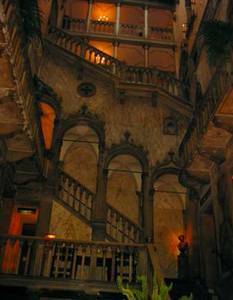 The Hotel Danieli, Venice (Italy) - Honeymoon? Anniversary? Or just a special treat? with a stay in this luxury accommodation in Italy. Let's be completely upfront about this from the start. 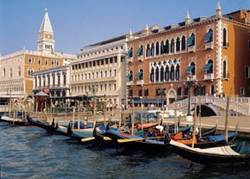 We have never stayed at the Hotel Danieli in Venice, Italy. It's way above our price range. What we have done (and what we'll be trying to persuade you to do) is to go there for a drink, or a meal that won't break the bank, just for the experience. Really - it's worth it. The Danieli is not cheap. Not only is it not cheap, it's incredibly expensive. The very smallest room with no view and no breakfast in the cheapest off-peak season will set you back around €280 (US $380) per night. A gin and tonic will leave you the poorer by about €20 (US $26). But Venice is a special place. 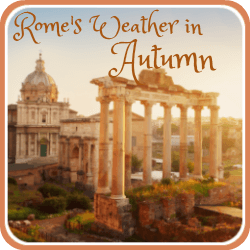 And just once in your life, maybe, you'll want to have a 'splurge' for some reason - your honeymoon, 25th wedding anniversary, a 'special' birthday perhaps - and then you'll want luxury accommodation in Italy as a treat. When you do, the Hotel Danieli in Venice will be there for you. Take a look at this link to see the hotel in all its splendour, or enter your dates in the search below for availability. Hotel Danieli, Venice, Italy : where is it? Right on the waterfront of St Mark's basin, facing south across to the red-brick church of Santa Maria Maggiore, two minutes (if that) from the Bridge of Sighs, five (if that) from St Mark's Square, the Basilica and the Palazzo Ducale, half an hour by water taxi (fifteen by car) from the airport. It's the most desirable and prestigious address in Venice. The Danieli actually has three parts to it. The main building is an opulently restored fourteenth century Venetian palace; the two annexes are more modern being built in the nineteenth and early twentieth centuries and the three are connected with covered bridges. In 1895 the 'Palazzo Dandolo', as it was, was converted into the most popular of luxury accommodation in Italy and it remains so to this day. and I have nothing but raves." For that reason, and because it became part of the 'Grand Tour' favoured by young aristocrats in the 17th and 18th Centuries, the Hotel Danieli has been the luxury accommodation in Italy preferred by celebrities for generations. They've ranged from Charles Dickens and Balzac to the composer Wagner, from Elizabeth Taylor to Omar Sharif, from Johnny Depp to Harrison Ford and Angelina Jolie. If you're in Venice in summer when the Film Festival is in full swing, this is one of the best places for celebrity-spotting. "Steeped in tradition and old-world charm"
The sight that hits you as soon as you walk through the revolving doors of the main entrance, or come through the side door from the hotel's own gondola station, is the amazing Atrium and the magnificent wooden galleried staircase. It's proably the most photographed thing about the Danieli (apart from the celebrities and the view) and no wonder - it's been preserved in its original, 15th century condition and splendour. It dominates the lobby and is the focus of the main hotel. It's surrounded by the huge lounge and bar area of hand-carved pink marble pillars, gold-leafed ceilings, Murano glass chandeliers and original antiques. It's like walking into a living museum. and stylish with a very comfortable bed." Take a look at prices for your dates, by clicking on this link. This is a large hotel with over two hundred rooms and suites, each of which is decorated almost as lavishly as the public areas. However, many guest reviews do comment about the rooms looking a little "tired" and in need of an upgrade. The bathrooms and bedding are generally regarded as luxurious, (be aware that the bedding is real linen and can seem a bit scratchy if you're used to cotton), and although the hotel doesn't have a spa centre some of the expensive rooms offer in-room treatments. But what you really pay for in the Danieli is the view. Some rooms (the more expensive, naturally), overlook the lagoon and have balconies while some of the rooms in the newer buildings have views overlooking the Grand Canal and St Mark's Square. "It's literally like staying in the middle of a post card." What can we say? Outside is - Venice! Not many Venetian hotels have an outside area - only the very rare luxury accommodation in Italy, at least in cities, does. But the Danieli has an arrangement with its sister hotels on the Lido (the Hotel des Bains and the Excelsior) so that Danieli guests have access to their private beach, pool and golf course - and the hotel's private launch will take you there. In the sweltering heat of summer in Venice that's a real advantage. In the Bar Dandolo during Carnevale. The Bar Dandolo, named after the original owners of the 'Palazzo', sits amongst the marble, gold and wood of the entrance hall and has comfortable armchairs, squashy settees, marble-topped coffee tables. It's a great place to sit and people-watch while you sip an espresso or enjoy a platter of sandwiches at lunchtime. In the evening it transforms itself into a popular and very lively piano - cocktail bar which a lot of Venetians frequent. It particularly buzzes during 'Carnevale' week when the hotel hosts daily balls. The prices are, of course, expensive : €65 for a light lunch, around €8 for a coffee and between €15 and €20 (depending on type) for a glass of wine. This bar is renowned for its delicious - and very potent - cocktails. The Bar Terraza Danieli opens as soon as the weather warms up in spring. 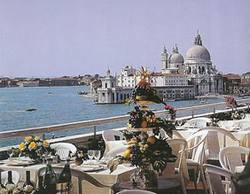 This is the amazing rooftop bar with the best views of the lagoon in the whole of Venice. The terrace bar has a light salad menu in the early evening, and sitting here sipping a 'Bellini' - a famous cocktail of peach juice and Prosecco (Italian champagne) - on a warm summer's evening is one of the great pleasures of Venice. Still not cheap, but a great way of seeing the hotel and its view without making yourself bankrupt. We can recommend it! La Terraza Danieli is the hotel's rooftop restaurant which has equally amazing views whether you sit inside or out. If you've booked breakfast with your room it's here you'll eat it - and you may not want to move for the rest of the day! 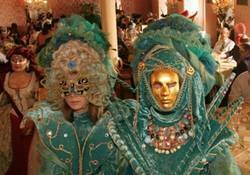 The evening meal is à la carte and has Venetian, as well as the usual Mediterranean, dishes. If you haven't booked a package you'll find the food here exceptionally expensive. Breakfast - although wonderful - is €52, more than the cost of most evening meals, and a very ordinary meal for two will set you back at least €250 - and that's not including the service charge. The wine list is (apparently - we've never tried it!) very extensive; a bottle will cost €27 for a local table wine to something like €600 for champagne. You can also have a small (up to twenty-two people) wedding reception on the roof terrace - but they will not give you exclusive use so bear in mind you will be sharing with other guests and members of the public. The hotel does claim to have facilities for guests who have a disability, but be aware you are likely to be accommodated in one of the newer blocks as the main hotel, due to its age, is difficult to make disability-friendly. 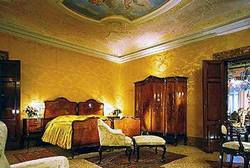 Hotel Danieli, Venice, Italy : a honeymoon destination? Absolutely. This is one of the most romantic hotels in one of the most romantic cities in the world. And if your honeymoon isn't the time to treat yourself, when is?! Hotel Danieli, Venice, Italy : good place for children and animals? Animals : the hotel does accept small pets, weighing not over 5 kg, which must be kept in bedrooms. There may be a small charge. Children : it wouldn't be our first choice with kids. It has a very similar feel to the Hotel Hassler in Rome : very formal and refined - and there are too many Italian antiques around to be able to relax with a toddler! You want to splurge on a 'once in a lifetime' experience for a special occasion. You prefer a more relaxed, less hushed atmosphere. Search for your dates in this box. Click on "search" and it will take you to the hotel's page on our partner agency, Booking.com. If you don't want to pay the Hotel Danieli's restaurant prices, try the 'Trattoria Rivetta' just behind the hotel on the Riva degli Schiavoni. There's no such thing as a cheap meal in Venice but the Rivetta serves beautiful local fish dishes for around €55 ($75) for two people, including wine - which is relatively very reasonable. This 'Trattoria' is small, noisy, always busy and often full of off-duty gondoliers. It's wise to book in advance as it gets very full and you'll otherwise have to wait.